Andres Sosa joined THEOUTNET.COM as Director of Global Sales & Marketing in September 2013 and was appointed EVP, Sales, Marketing & Creative in November 2015. 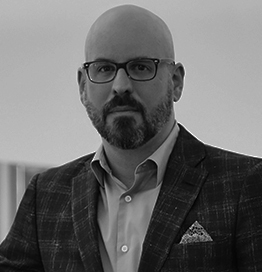 A leader in digital strategy and retail marketing for over 20 years, Andres is responsible for the global sales, marketing, creative and e-commerce teams, optimizing brand awareness for THE OUTNET while driving customer acquisition and retention, public relations and channel innovation. He also provides guidance on site content, campaigns and cross-channel initiatives, ensuring THE OUTNET’s editorialized approach is maximized across all touch points, and has been instrumental in establishing an entrepreneurial environment at THE OUTNET – one that works collaboratively, quickly and efficiently to consistently deliver a globally integrated strategy. Since joining THE OUTNET, he has launched an invite-only VIP program, an award-winning campaign during the crowded London Fashion Week space, and new product categories and collaborations in response to consumer insights. Prior to joining THE OUTNET, Andres was Head of Digital Marketing and Media at Value Retail, responsible for global digital strategy. He has also led teams at global agencies WPP and Publicis Groupe, heading various accounts in the luxury fashion and consumer goods sectors. Originally from Venezuela, Andres has lived in London for over 14 years. A graduate of Colegio Santiago de Leon de Caracas with a Bachelor of Science, he then attended Universidad Metropolitana in Venezuela for an advanced degree focused on Business Administration, Management.